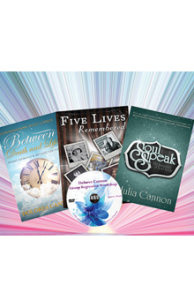 Join us for this one-of-a-kind opportunity to learn my mother Dolores Cannon’s incredible Quantum Healing Hypnosis Technique™ for healing and past life regression. Set in the tropical paradise of Hawaii, our newest levels of training combine everything that you need to conduct life-changing QHHT® sessions. 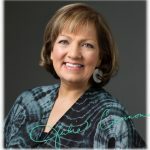 By helping thousands of people relive their past lives and heal themselves by using QHHT, Dolores discovered a treasure trove of lost knowledge and insights she shared as the author of 19 extraordinary books that cover a myriad of metaphysical concepts and feature historical figures such as Jesus and Nostradamus, as well as ETs, UFOs, and The Source or God. The QHHT Live Level 1 Course October 31-November 6, 2018 is a 6-day comprehensive training that gives you the knowledge, resources, and confidence to practice QHHT. During the Live Level 1 Class, you will learn how to induce clients to the appropriate state of trance, navigate clients through a variety of past lives, contact and communicate with The Subconscious. You’ll learn the fascinating metaphysical meanings behind a wide range of diseases and clearly understand how to guide transformations into optimal health. Get ready for a mind-blowing journey as an enlightened explorer of human consciousness. The Level 1 Companion Program November 11-13 is a live 3-day class taught by an approved Quantum Healing Hypnosis Academy practitioner facilitator. This class provides a day to answer questions, a day to practice skills and a day to share results and receive feedback. The companion program is perfect for students who have completed the online or live Level 1 course or any practitioner who would like practice sessions, to ask questions and make new connections. The Level 2 QHHT Course November 11-16 is advanced training that propels your QHHT practice to new heights. You’ll achieve complete mastery of each of the core components of the QHHT technique. Several of our most experienced QHHT Practitioners and I will not only work with the class as a group but also give you one-on-one guidance. We now have a full bonus marketing and abundance building day to provide you with the knowledge, confidence, and structure to significantly grow your QHHT practice. For the most advanced QHHT Practitioners, the Level 3 QHHT Course November 7-9 enables you to achieve the highest level of certification in QHHT. There are currently only eleven certified Level 3 QHHT Practitioners in the entire world. Will you join them? Each level of training includes a bonus day of swimming with majestic dolphins in the wild and a magnificent ceremony led by the legendary Joan Ocean (family members and guests are welcome to attend the bonus events and dolphin swim). 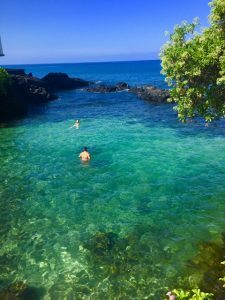 The QHHT Hawaii Adventure will also feature group meditations, channeling and synchronized chanting, cultural activities and an exploration with Kahuna Kalei of the legendary lost civilization of Lemuria that Hawaii was once a part of long ago. 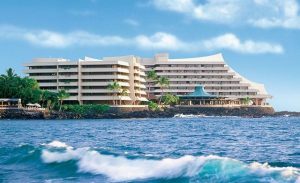 A block of rooms is reserved for our group at the event headquarters, the Royal Kona Resort. Limited space is available, so book your rooms and seats now. They will be available on a first come, first serve basis. 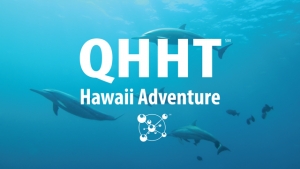 The QHHT Hawaii Adventure is a dream come true we want to share with you. Learning QHHT or honing your skills as a practitioner with a fantastic group of like-minded friends old and new, in one of the most magical places on Earth, will create memories that last a lifetime, and opportunities to help others with QHHT.